Henty Highway is a rural highway in country Victoria. 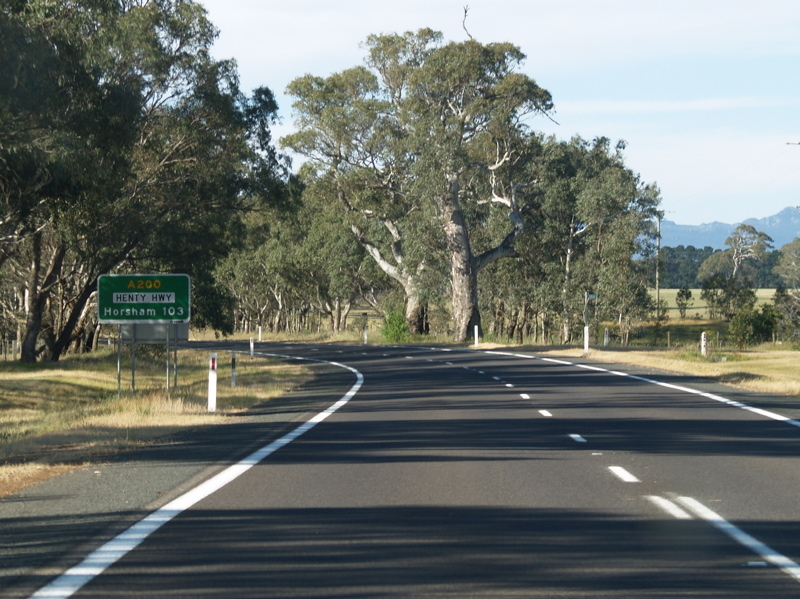 It's primarily a north-south route, and consists of a mix of 2 laned country highway standard and 4 lane arterial road within some of the larger towns along the route. Click here for images dating back to when the route was State Route 107. 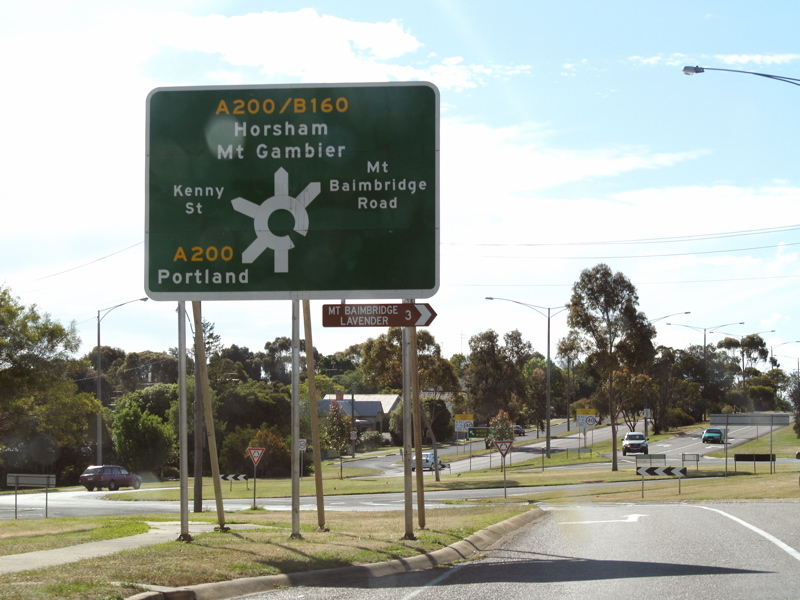 AD sign on Mt Bainbridge Road in Hamilton approaching the roundabout with Mt Bainbridge Road, Kenny Street, and Glenelg Highway (B160), October 2006. This is where the B160 duplex starts. 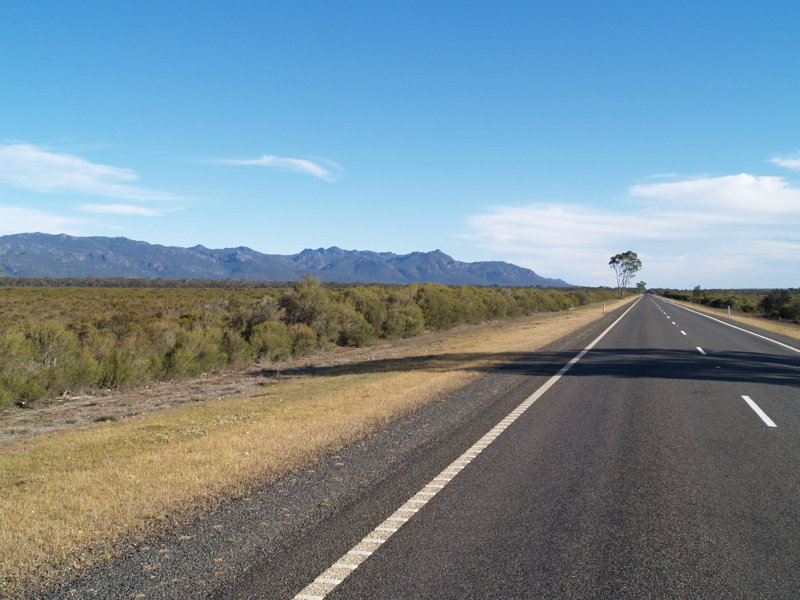 Henty Hwy as it heads southbound through the Grampians National Park at Mooralla, with the Grampians mountain range on the left of shot. October 2006. The Grampians named in 1836 by Surveyor General of New South Wales Sir Thomas Mitchell after the Grampian Mountains in his native Scotland, but are also known by the name Gariwerd, from one of the local Australian Aboriginal languages. ID sign in Hamilton at the roundabout with Mt Bainbridge Road, Kenny Street, and Glenelg Highway (B160), October 2006. ID sign on the corner of Barker St and Scott St (C188) (Penshurst-Dunkeld Rd) in Cavendish, October 2006. Looking northwest near Young Street in Hamilton at the AD approaching the A200 / B160 split. October 2006. 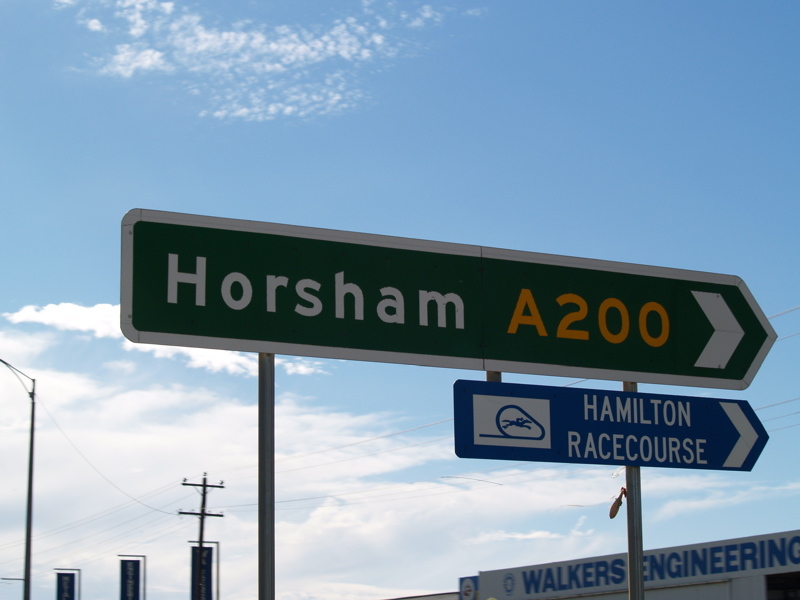 ID sign on the corner of Henty Hwy (A200) and Glenelg Hwy (B160) in Hamilton, October 2006. Northbound RD sign as you leave Hamilton, October 2006. 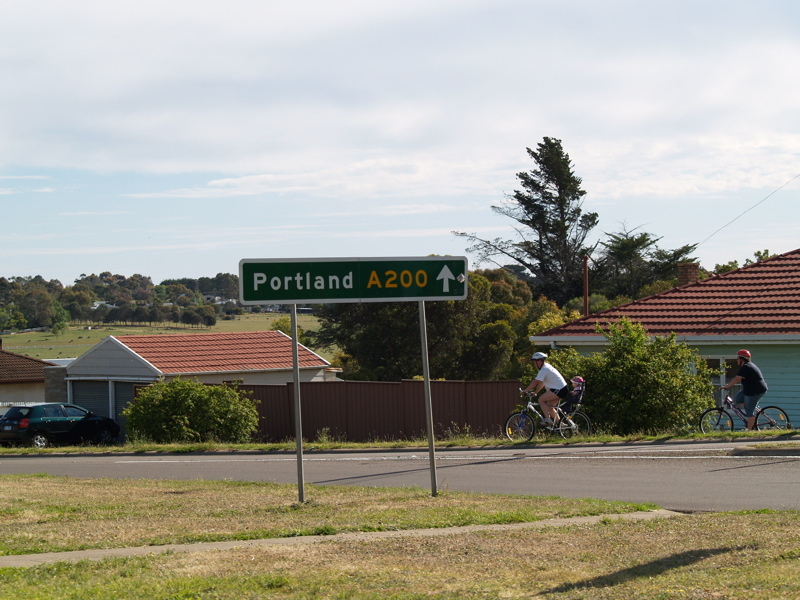 AD sign in Cavendish on Henty Hwy (A200) approaching the intersection with Barker St and Penshurst-Dunkeld Rd (Scott St). October 2006. This is where the C188 duplex begins. AD sign in Cavendish approaching the intersection wth Natmiluk-Hamilton Rd (C188), October 2006. This intersection is where the duplex with C188 ends. 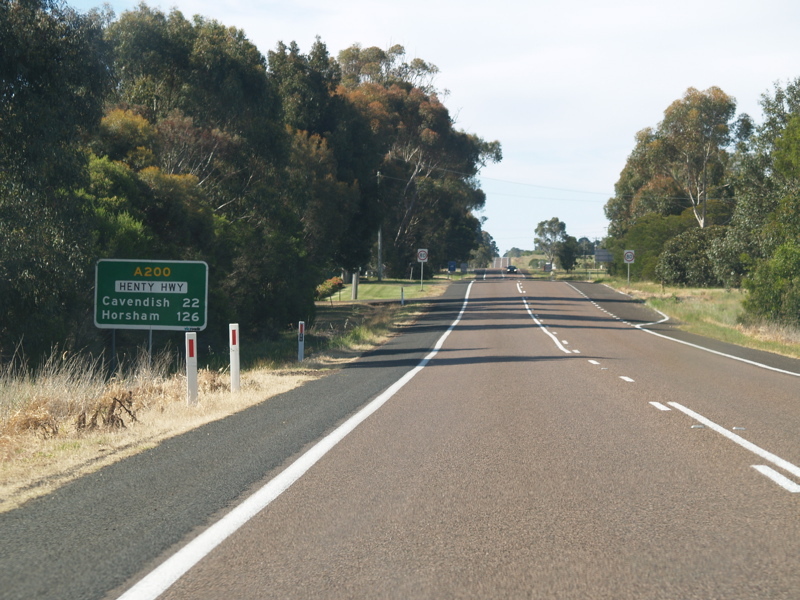 Northbound on the corner of Henty Hwy (A200) and Natmiluk-Hamilton Rd (C188) in Cavendish, October 2006. Reassurance directional sign as you leave the town of Cavendish, October 2006. 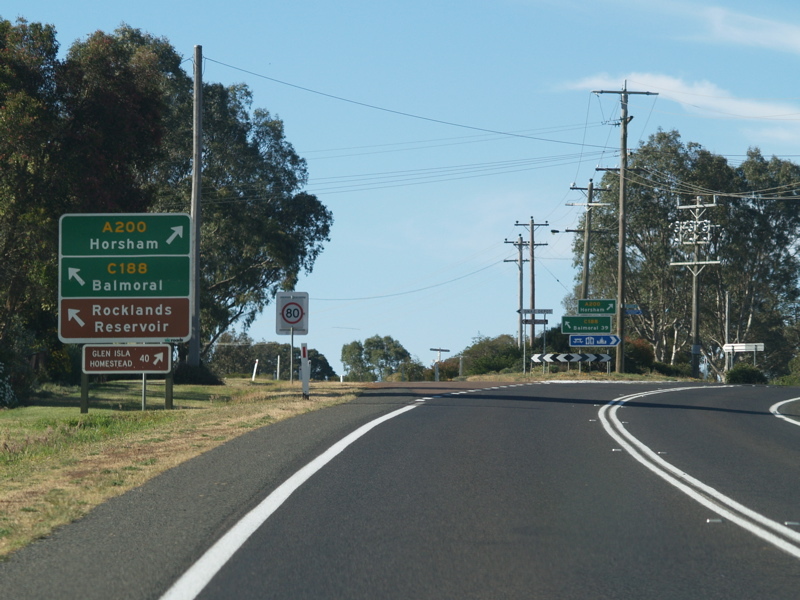 Northbound RD sign in Mooralla in the Grampians National Park, October 2006. 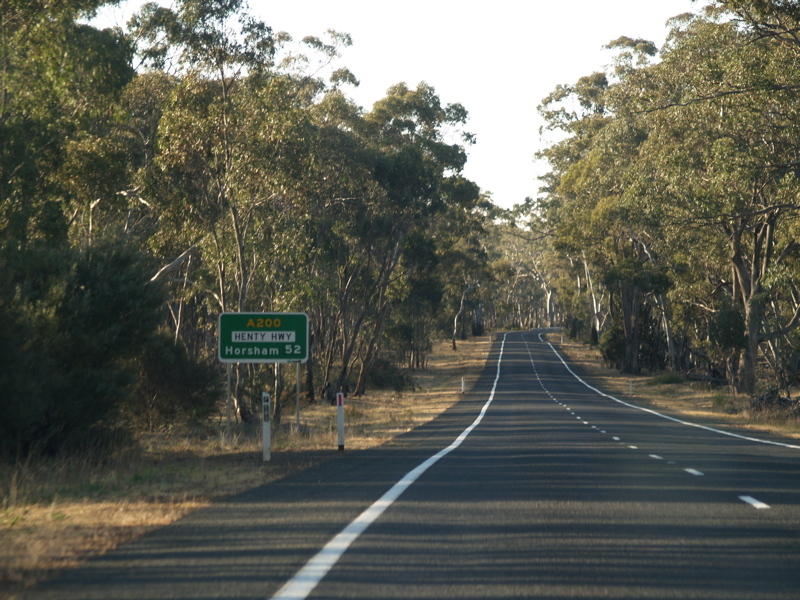 Henty Hwy in Brimpaen approaching the intersection with Campbells Ln & Brimpaen-Laharum Rd, October 2006. 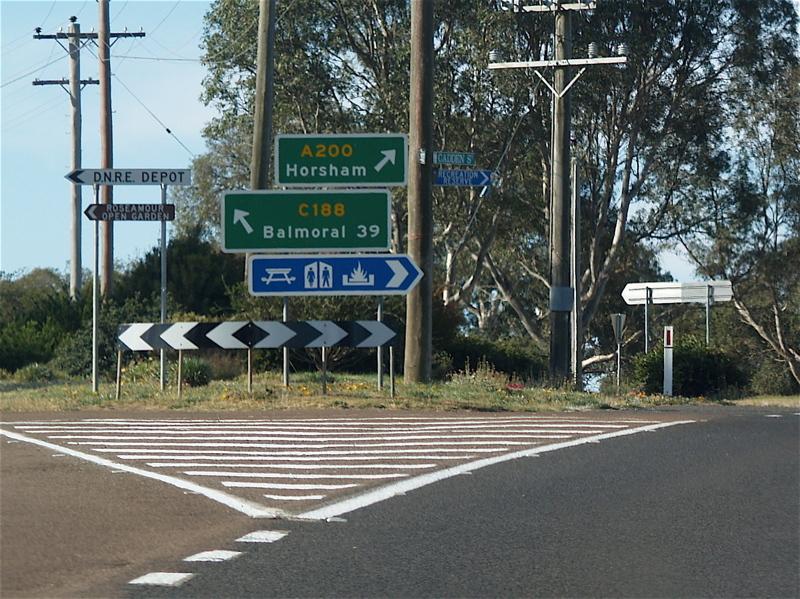 RD sign in Brimpaen after the intersection with Campbells Ln & Brimpaen-Laharum Rd, October 2006. 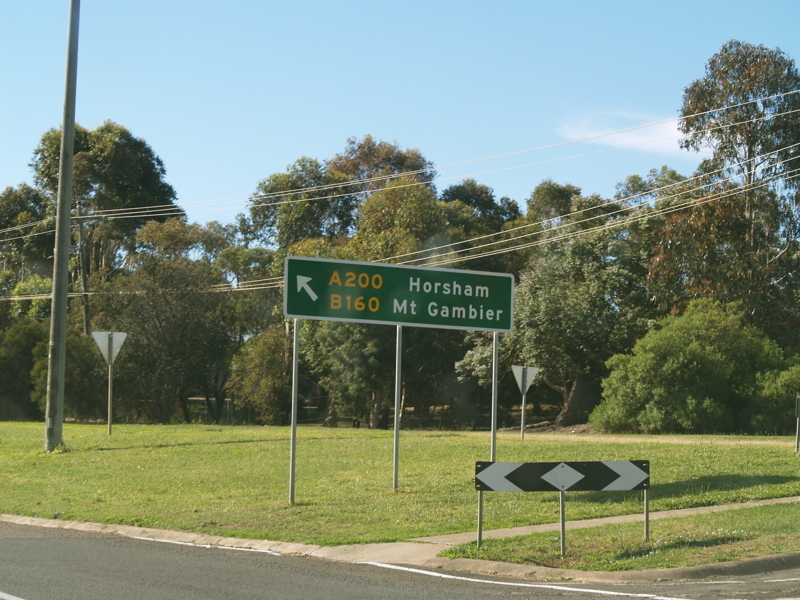 AD sign on Henty Hwy in Wonwondah approaching the intersection with Toolondo Road and Northeast Wonwondah Road, October 2006. 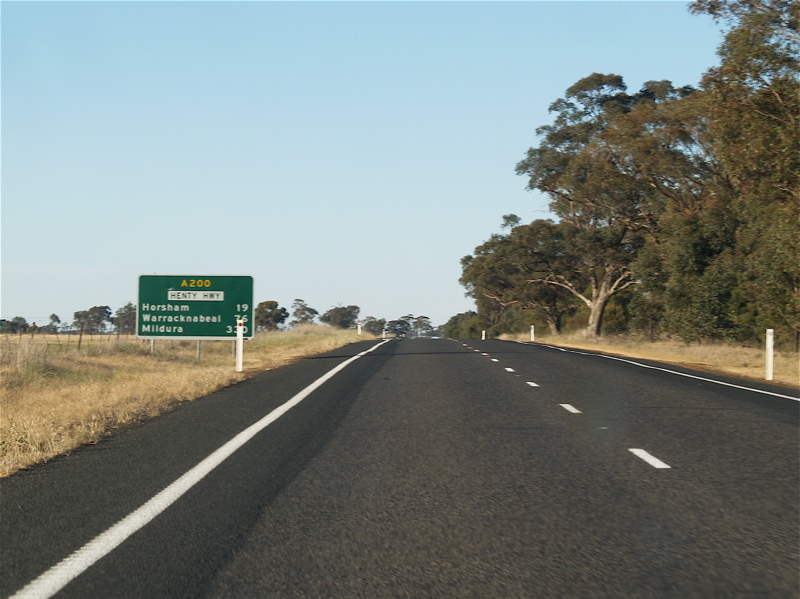 RD sign on Henty Hwy in Wonwondah after the intersection with Toolondo Road and Northeast Wonwondah Road, October 2006. 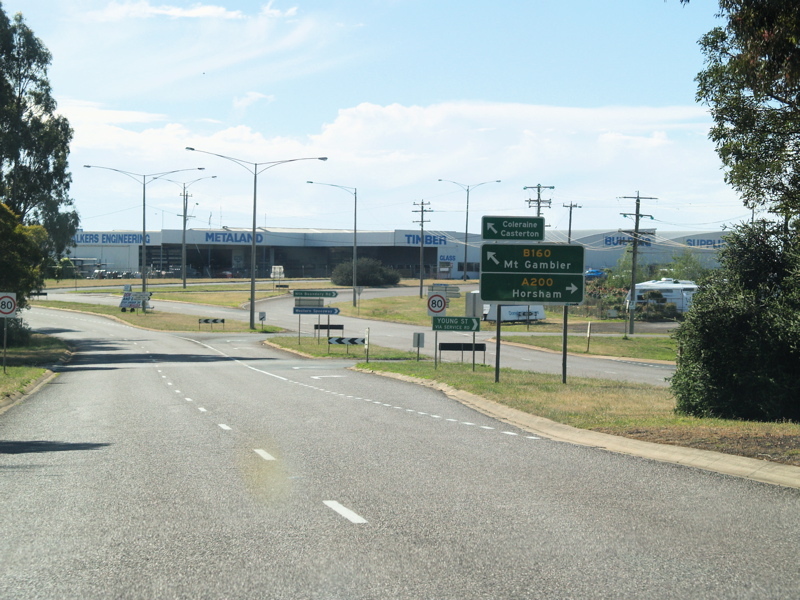 Northbound in Horsham approaching the intersection with Golf Course Road and Western Highway (A8), October 2006. This is where the route number changes from A200 to B200, and also where the A8 duplex begins.